Oscar-winning actor and director Clint Eastwood mocked President Barack Obama and Vice President Joe Biden during a surprise appearance at the Republican National Convention Thursday night, appearing shortly before Mitt Romney took the stage to give his headline speech. Eastwood's speech was defined by a pretend and at times rambling conversation with an imaginary Obama, symbolized by an empty chair to the actor's left. Throughout, Eastwood mixed jokes with tough talk to the delight of the crowd. "We own this country," Eastwood said, drawing chants of "USA!" and an extended ovation. "... Politicians are employees of ours." Eastwood intermittently turned to the empty chair, pretended the president was sitting next to him, and asked a smattering of questions. 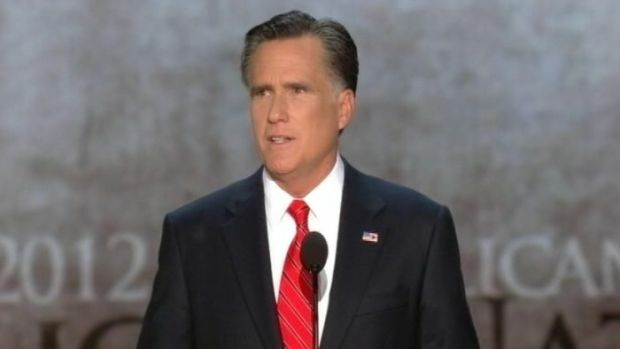 After a night of speeches from Jeb Bush, Newt Gingrich, Senator Marco Rubio and special guest Clint Eastwood, Mitt Romney addressed the nation. "Mr. President, how do you handle promises that you made when you were running for election," he asked. "I mean, what do you say to people?" Eastwood, who delivered the speech without a teleprompter, recalled the emotion when Obama won the presidency four years ago. "Everyone was crying, Oprah was crying. I was even crying," he said. "I haven't cried that hard since I found out that there are 23 million unemployed people in our country and that is something to cry for." Eastwood also criticized Obama's Afghanistan strategy and took shots at Biden. "Of course we all know that Biden is the intellect of the Democratic Party," he said. "Kind of a grin with a body behind it." Occasionally, Eastwood pretended that Obama was upset by the fake back-and-forth. After praising Romney, Eastwood turned to the chair and said "What? What do you want me to tell Romney? I can't tell him to do that. He can't do that to himself. You're crazy," he said. "You're absolutely crazy." Eastwood concluded with his signature line: "Go ahead, make my day." 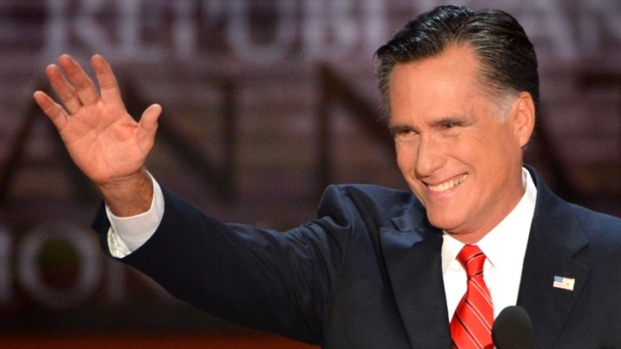 A spokesperson for Romney released a statement shortly after Eastwood walked off the stage. "Judging an American icon like Clint Eastwood through a typical political lens doesn't work," the statement read. "His ad libbing was a break from all the political speeches, and the crowd enjoyed it. He rightly pointed out that 23 million Americans out of work or underemployed is a national disgrace and it's time for a change." Eastwood, 82, became the highest profile celebrity to support Romney after endorsing him at a big bucks fundraiser in early August. Rumors of a surprise guest abounded Thursday morning stirring speculation that anyone from Sarah Palin to Tim Tebow could make an appearance. Eastwood, who's long shown an interest in politics— even serving as the mayor of Carmel, Calif. in the 1980s—was the leading name and was confirmed as the mystery speaker by the afternoon. The actor found himself in the political spotlight earlier this year after a Chrysler commercial, which aired during the Super Bowl, had some convinced that his allegiance was with the president. In the ad, dubbed "Halftime in America" the "Dirty Harry" star talked about Detroit's auto industry turnaround, recalling how close to the brink the industry had come. "But after those trials, we all rallied around what was right, and acted as one," he said in the ad. "Because that's what we do. We find a way through tough times, and if we can't find a way, then we'll make one." Karl Rove told Fox News that he was offended by the commercial. "I'm a huge fan of Clint Eastwood," he said. "I thought it was an extremely well-done ad, but it is a sign of what happens when you have Chicago-style politics, and the president of the United States and his political minions are, in essence, using our tax dollars to buy corporate advertising." But Eastwood later told Fox News that he wasn't supporting any politician at that time. Standing beside Romney the night he gave his endorsement, Eastwood explained that he first saw the candidate when he was filming "Mystic River" in Massachusetts almost a decade ago. "I said, God, this guy, he's too handsome to be governor, but he does look like he could be president," Eastwood said, according to the AP. "As the years have gone by I began to think even more so about that." 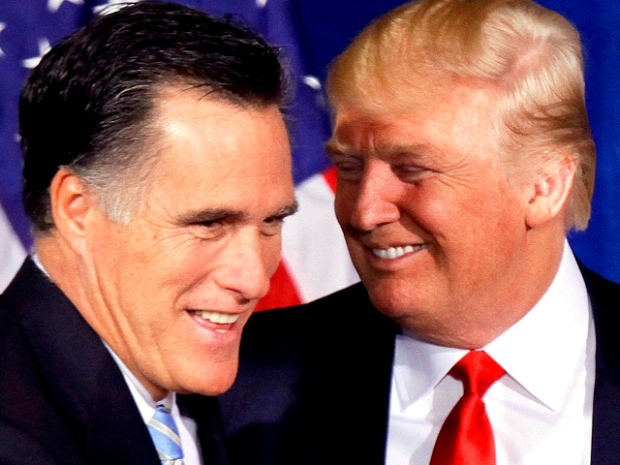 He added, according to Politico, that he hoped Romney would restore "a decent tax system that we need badly so that there is a fairness and people are not pitted against one another of who's paying taxes and who isn't." Romney also has notched the support of Kid Rock, Kelsey Grammer, Jeff Foxworthy, Gene Simmons, and Chuck Norris.